Suite Sizes: 480 to 1,000 sq. ft. Living Realty has an exclusive allocation of units at M3 Condos and VIP incentives for buyers. The best way to buy a suite and take advantage of these benefits is by registering with us today. 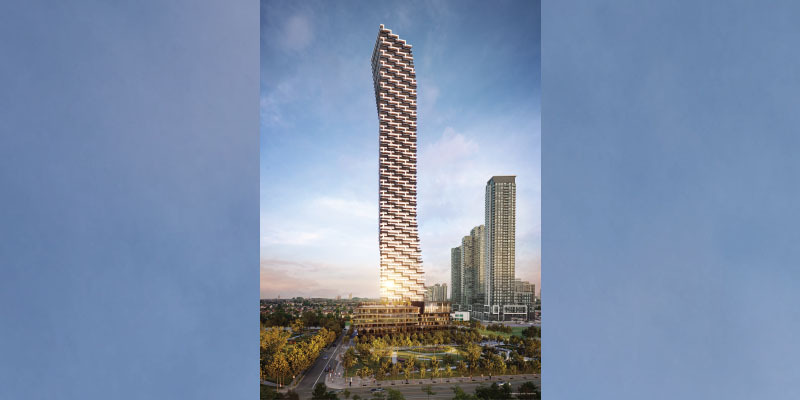 Introducing M3 condos – the third phase in the huge M City development in Mississauga and the tallest residential building in Canada outside of Toronto. 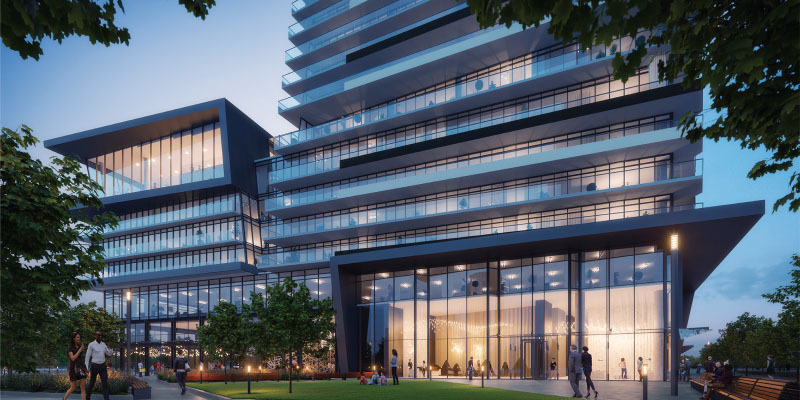 Following on from the successful launch of phase one and two, M3 Condos is sure to grab the attention of buyers and not just for its impressive height and central downtown Mississauga location. 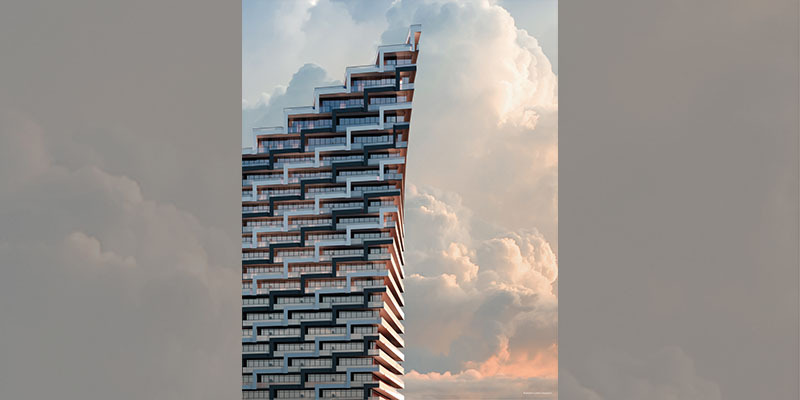 A unique design sees the building twist and lean as it rises. Combined with the staggered balconies that make a distinctive pattern on all sides of M3, the building’s architecture is both eye-catching and impressive. Meanwhile, the northern side of the building has stepped terraces for the penthouse units, providing impressive views and spacious outdoor areas. In addition to the large number of condo apartment suites, M3 will also have a number of townhomes available on the lower levels as well as retail space. The courtyards will be warm and welcoming, and a green area will run along the north side of M3 Condos. 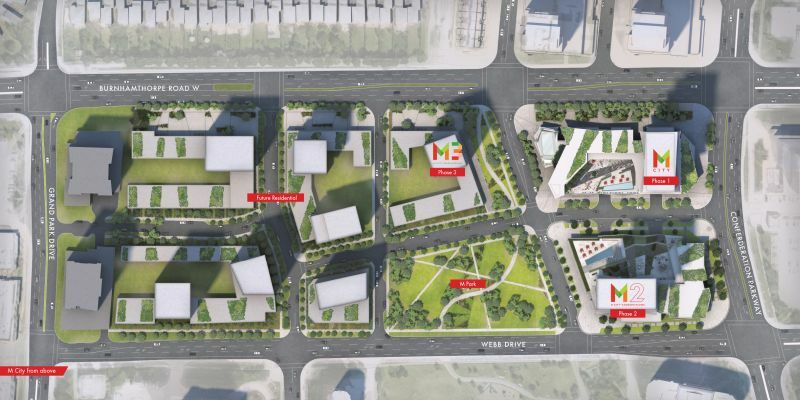 To the south of the building and as part of the M City development, a new park will be created for the community and residents of M3 will be in a prime position to take advantage of this urban oasis. 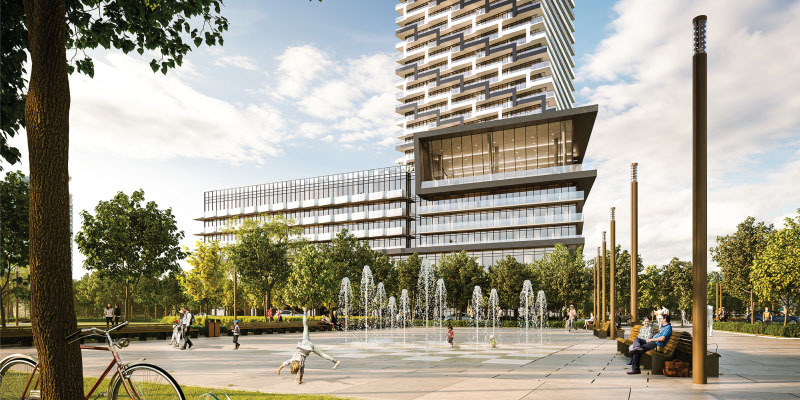 As one of the biggest and most ambitious developments in the GTA, M City will be a neighbourhood in itself. When completed, the community is expected to boast 10 residential high rises, in addition to parks, retail space and office space. There’s also plenty to do in the areas around M City. Square One shopping centre is within walking distance, along with various cultural institutions and a Sheridan College campus. With such a dazzling array of amenities, it’s impossible to list everything, but the walk score of 90/100 shows that just about everything you need is within walking distance.